Our Music scheme is exciting and stimulating. It explores different genres of music from Baroque to Hip Hop through a wide range of songs, instrumental pieces and dance movements. Children are given opportunities to gain and refine their musical skills through performing, composing, singing, listening and responding to music. 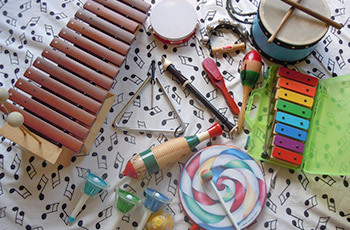 The school has a good selection of musical instruments appropriate for young children. All Year Two children learn the recorder in weekly lessons and perform at school and local events. There are whole school concerts throughout the year to celebrate special events such as Harvest, Christmas and Mother’s Day. All children are given the opportunity to join the after school choir club.